Conflict is inevitable—it is the natural outcome of human interaction, the result of competing ideas or options. However, anger, grudges, hurt, and blame are not inevitable. Being disrespectful and uncivil is a conscious choice that causes inefficiency. Fortunately, not all conflict is negative. Positive conflict can improve problem solving, clarify issues, increase participant involvement and commitment, and result in a better decision or outcome. The key is managing conflict to bring about these positive effects. Conflict resolution is not the same as conflict management. Chairs should not strive to resolve conflicts (even if we could), because a conflict-free environment would be so homogeneous it would not be optimally innovative or productive. Departments thrive on differences of opinion. Members of the academy are well versed in analytical thinking and are passionate in verbalizing their thoughts. Divergent thinking enhances the ability to find solutions to a problem. All people in the department—from graduate assistants up to and including full professors—should have opportunities to express their thoughts respectfully without fear of retaliation. A healthy, trustful climate in the department sets the tone for conducting department business in a constructive manner. Recognize, however, that problems will not go away by themselves. The department chair plays an important role in managing conflict within the department. A chair’s positive day-to-day interaction with faculty members, staff, and students can minimize destructive conflict. This daily interaction can alert the chair to any cues that may signal a brewing conflict. Although chairs are not skilled in reading crystal balls, they should be able to accurately predict potential conflicts and be ready to intervene when needed. This will be greatly facilitated if the chair walks the halls and interacts with faculty members, staff, and students on a daily basis. Department chairs, like most people, do not like to manage conflict. However, it is an essential responsibility of chairs, and apparently managing conflict is becoming more of a need in higher education. It is very important that chairs develop a good support system. Chairs should seek out colleagues in the university with whom they can talk and from whom they can get good advice (Cipriano, 2011). Higgerson (1996) wrote that “if mutual trust exists among colleagues, and faculty air differences openly and constructively, there is less opportunity for destructive conflicts to escalate because individuals are less prone to perceive differences of opinion as personal attacks or components of some hidden agenda.” Mutual respect and trust are significant cornerstones of facilitating an approach to managing conflict. Managing a conflict is based on a clear understanding of what the dispute is really about. Good communication and engagement are keys to successfully managing conflict. When issues are not addressed quickly, tension is heightened, resolution is delayed, and collateral damage is increased. The best approach to managing conflict is an informal one. Many more problems ensue when a letter is written and copies are distributed to others. People then are “professionally obligated” to respond in writing to the allegations put forth in the initial letter. When people are criticized, whether fairly or unfairly, and the criticism is in the form of an official letter, they have elephantine memories. 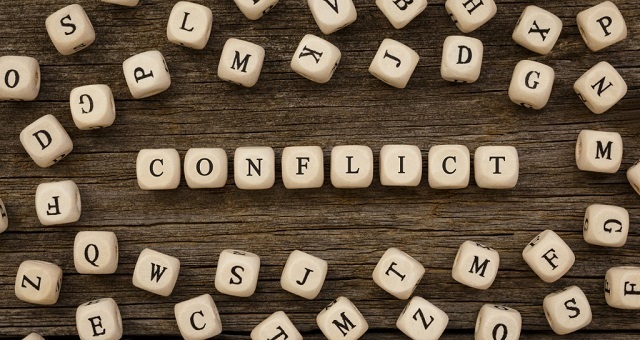 In the final analysis, conflict management is directed toward reducing destructive conflict while allowing for the existence of constructive conflict. Communication, both verbal and nonverbal, is the single most important ingredient to managing conflict. Robert E. Cipriano is professor emeritus in the Department of Recreation and Leisure Studies at Southern Connecticut State University and senior partner in ATLAS, an internationally acclaimed consulting firm that specializes in academic leadership training and collegiality assessment. He is a member of the Academic Leader editorial advisory board and can be reached at ciprianor1@southernct.edu. Cipriano, R.E. (2011). Facilitating a collegial department in higher education: Strategies for success. San Francisco, CA: Jossey-Bass. Higgerson, M.L. (1996). Communication skills for department chairs. Bolton, MA: Anker Publishing. Reprinted from “Positive Effects of Conflict” in Academic Leader 28.9(2012)4,5 © Magna Publications. All rights reserved.